Before you can read books or other publications, you have to get your iPad’s hands on them (so to speak). This involves downloading e-reader software, and then using it or online stores to buy publications. 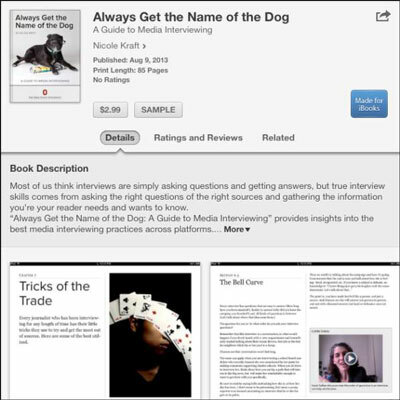 Check out iBooks, a free e-reader that you can download from iTunes. You can also buy content on your computer and sync your purchases to your iPad using iTunes or iCloud. When you find a book in the iBooks Store that you want to buy, tap it, and then tap its price button as shown in this figure. Tap the Buy Book (or Get Book) button. If you haven’t already signed in, the iTunes Password dialog appears. The book appears on your bookshelf, and the cost is charged to whichever payment method you specified when you opened your iTunes account — or the cost is deducted from your store credit, if you have a balance. If you have signed in, your purchase is accepted immediately — no returns are allowed, so tap carefully!